Hilary on board her partner Ken's Dutch barge Res Nova moored at St.Katherine's Dock ca.1976. 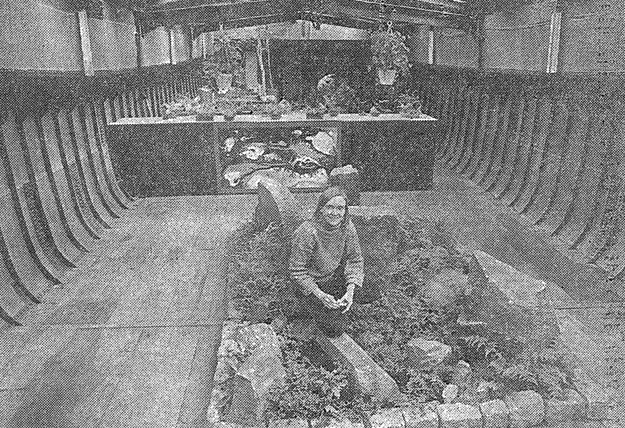 The barge was a floating showroom for their stone gardens and a retail outlet for goat's milk produce, eggs, fruit, vegetables and honey. 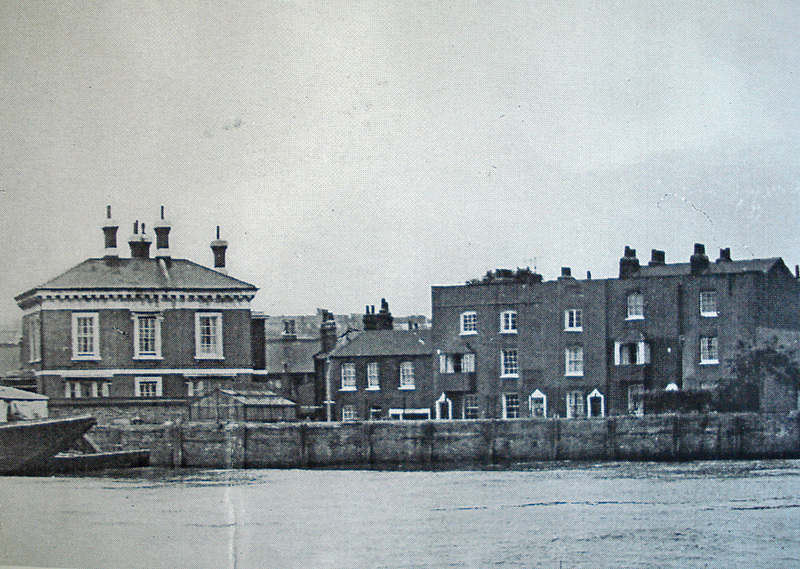 Hilary Peters recalls taking out a lease on the derelict wharf and a house on Ballast Quay in 1963. 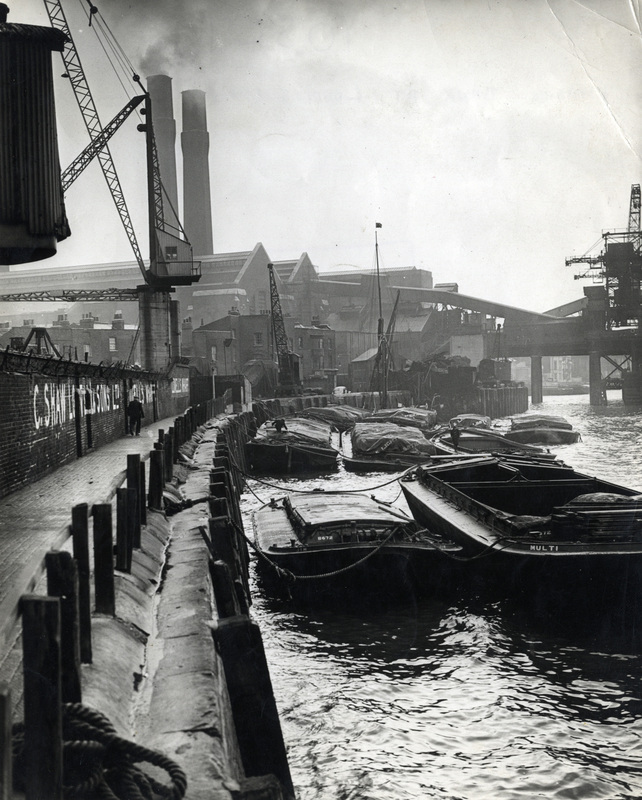 She describes the activity on the busy river and the docks and reminisces about the dockers, the local industry and the Cutty Sark Tavern, which was the local social centre. 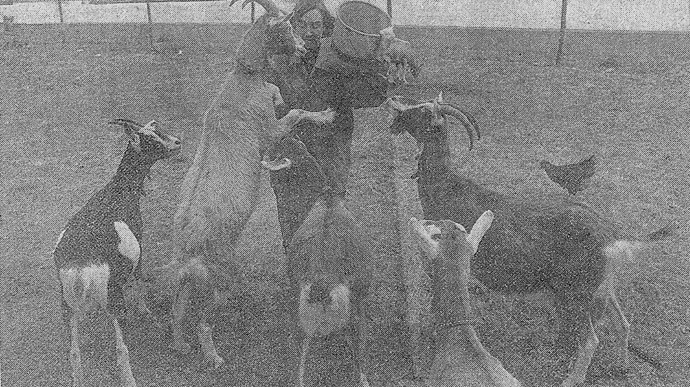 She kept chickens on the wharf and goats in Blackheath. 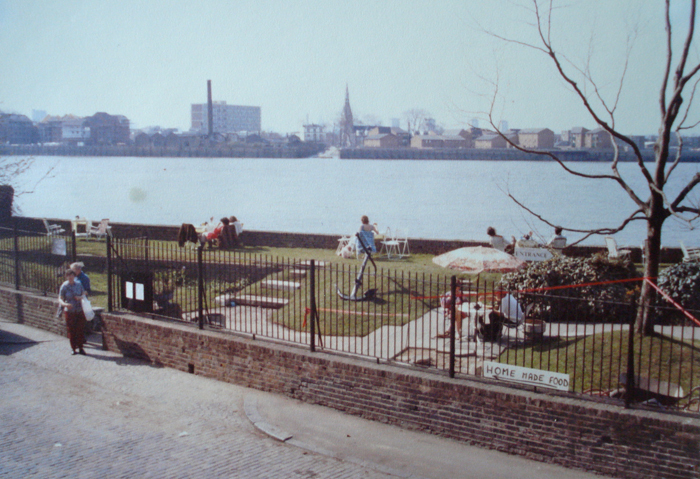 From the emerging riverside garden, which she created out of the derelict wharf, she established a landscape business which encompassed gardening projects at St. Katherine's Wharf and also saw the founding of the Surrey Docks Farm. 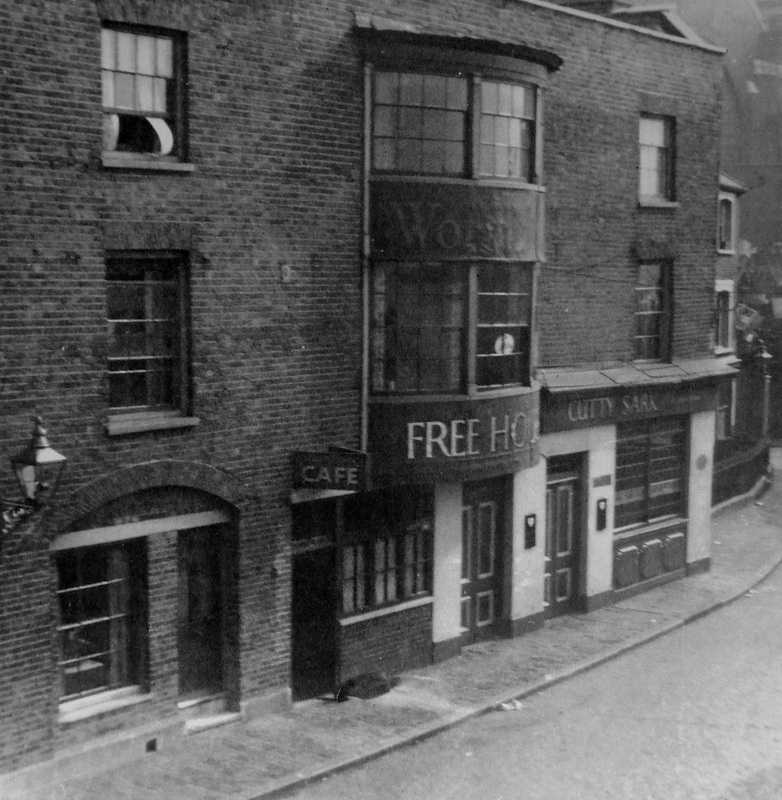 She talks about the period in the wharf's life when it became a tea garden, still remembered fondly today by locals. 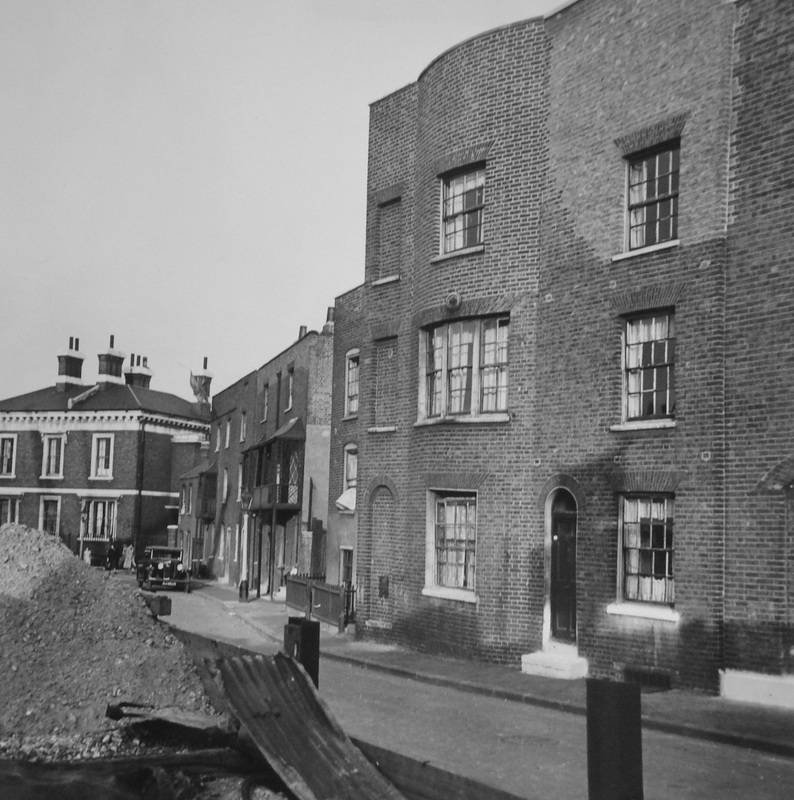 She is glad to have known the area when it was a bustling, noisy industrial place, as now it has changed, and will continue to change, beyond all recognition. 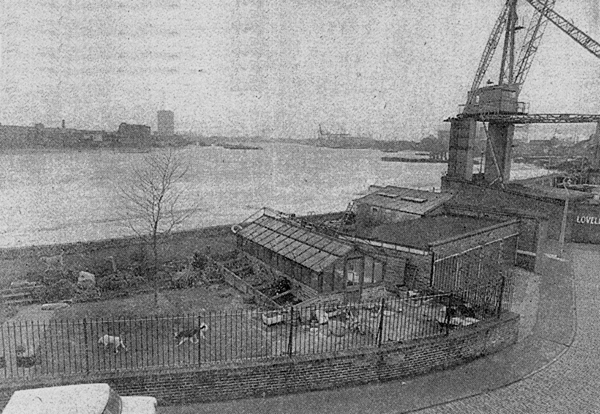 Lovell's Wharf at the height of its activity. Union Wharf and Ballast Quay can be seen in the background. 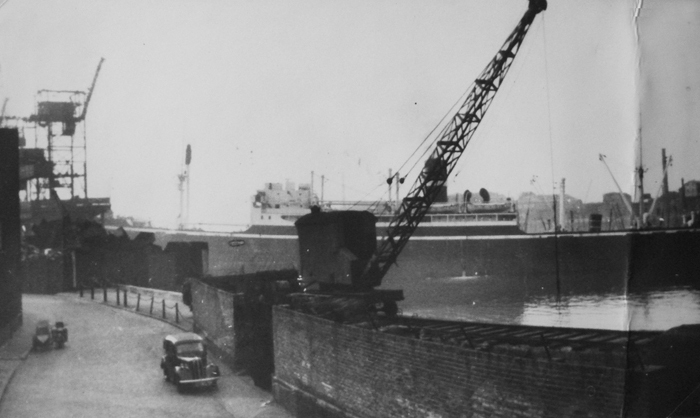 Ballast Quay and Wharf in the late 1960s.